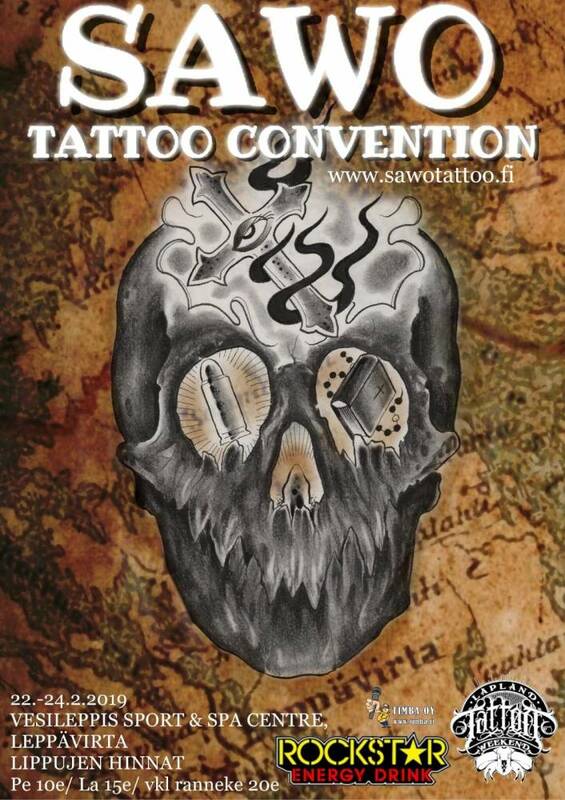 Sawo Tattoo Convention is coming back one more time after several years. First one was held 2003 in the small town of Leppävirta, North Sawo, Finland. FEBRUARY 22. - 24. 2019 it will still be the same town, in VESILEPPIS Hotel, sport and spa centre with lots of national and international artists, vendors, bands and other entertaiment connected to the world of tattooing. We sincerely hope to bring back the same atmosphere we had 15 years ago.